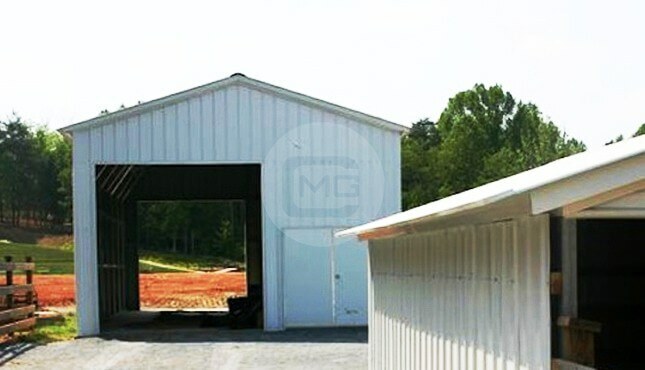 42x26x13 Raised Center Aisle Barn / Carolina Barn / Step Down Barn. 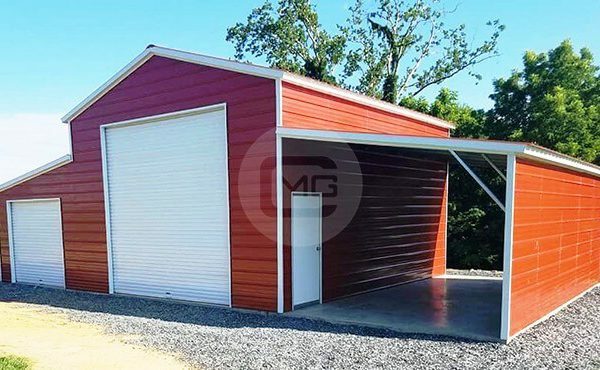 The center building is 18x26x13 Vertical Roof with (1) side closed and (1) 12×12 on the front wall and (1) 36″ x 80″ walk in door. 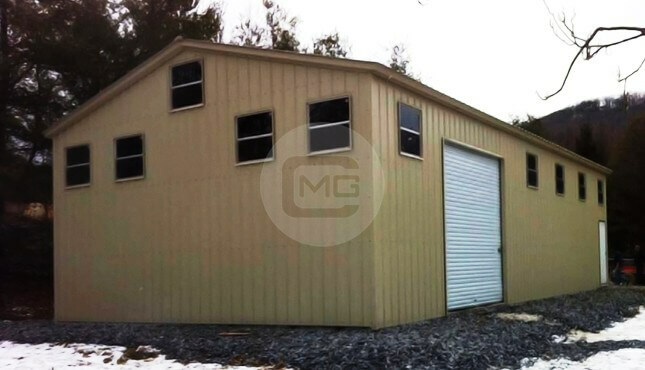 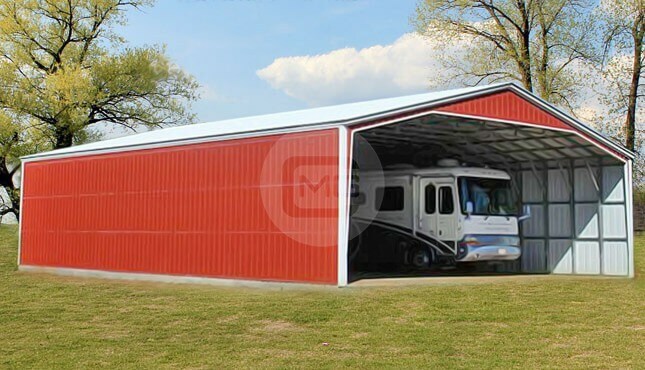 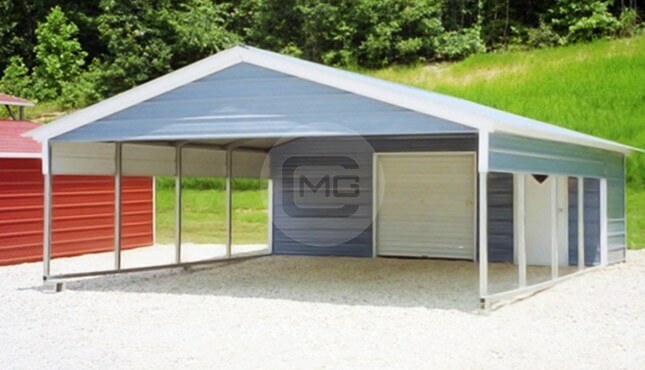 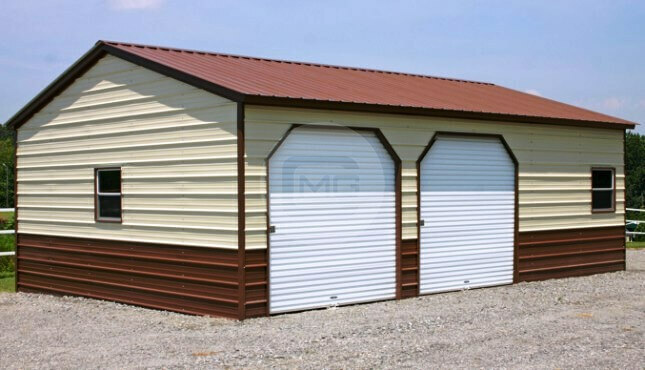 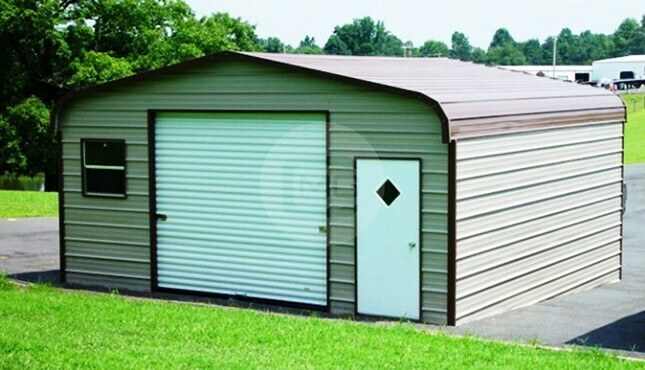 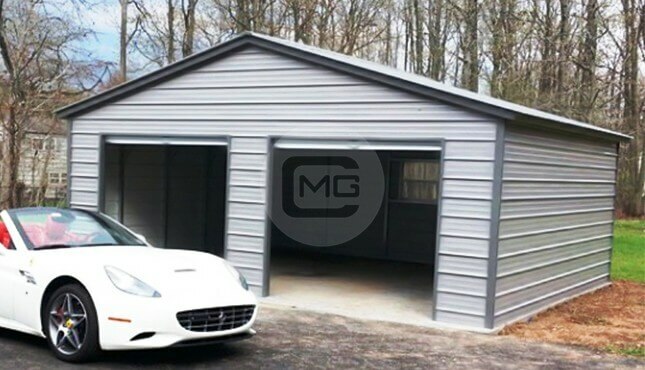 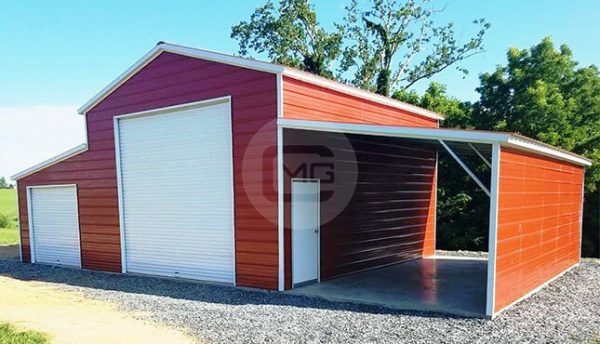 The lean-tos are 12x26x9 Vertical roof and the left side lean to is completely enclosed with (1) 9×8 metal roll up door on the front wall, (3) 30″ x 30″ windows and (1) 36″ x 80″ walk in door. 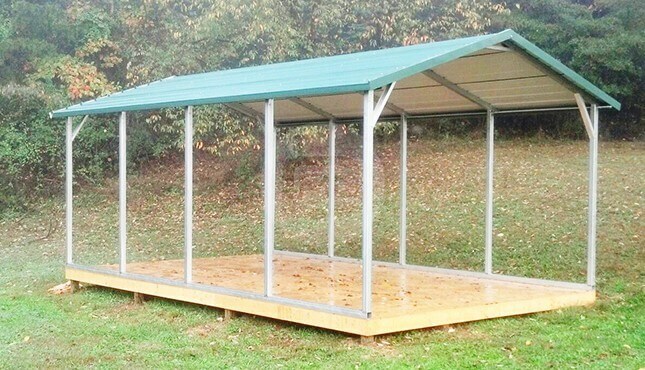 The right lean-to is open with the outside wall closed.